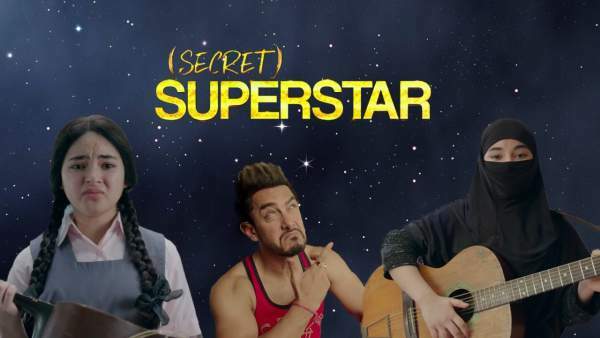 Secret Superstar 1st Day Box Office Collection: Bollywood‘s Mr. Perfectionist, Aamir Khan is back with his new movie Secret Superstar, though extended cameo. Starring Zaira Wasim in lead role, the film started on a low note in the morning shows. The start is somewhat expected as people are busy with Diwali festivities. It is usual for all festival days. The average occupancy registered for the morning shows was around 20% in India. It’s kind of a low start. It opened better in Mumbai, South India, and Bangalore than other parts of the nation. The effect of Diwali is on a higher note in the northern part of India. Everybody seems to be busy as it’s one of the biggest festivals celebrated nationwide. However, we still can consider it a reasonable start taking all factors into the consideration. Though Aamir Khan has an extended cameo to play, it will still depend on the word of mouth. Both critics reviews and audience response have been good so far. So, we can expect to garner a good moolah over the first weekend, starting with Friday. Rohit Shetty’s directorial Golmaal Again and the debutante director’s (Advait Chandan) Secret Superstar are fighting over the screens. Secret Superstar’s team has got 50% screen shares in multiplexes. So, it’s a huge deal for them taking the appeal and genre into consideration. But, Golmaal Again team seems reluctant to release the film if they don’t the asked number of screens. Related: Mersal 2nd day collections. However, they will be forced to release it now else they will have to push further which could result in more loss to them. SS has been produced by Aamir Khan’s Productions. It has managed to get around 1200 screens in India. Advance booking is good and expected to rake in Rs. 15 crore on 1st day.